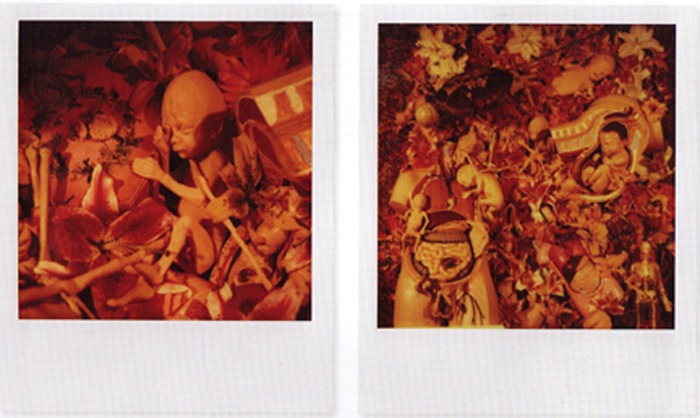 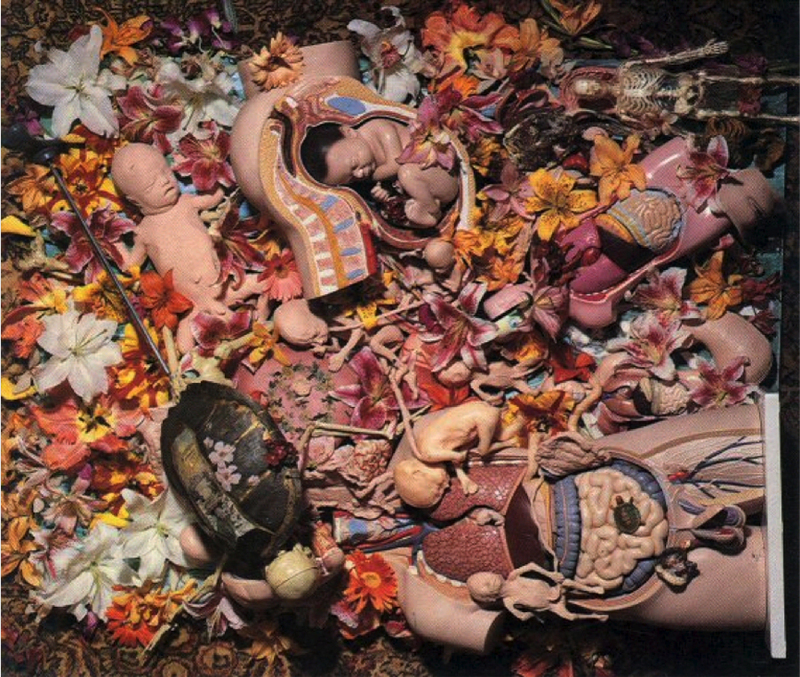 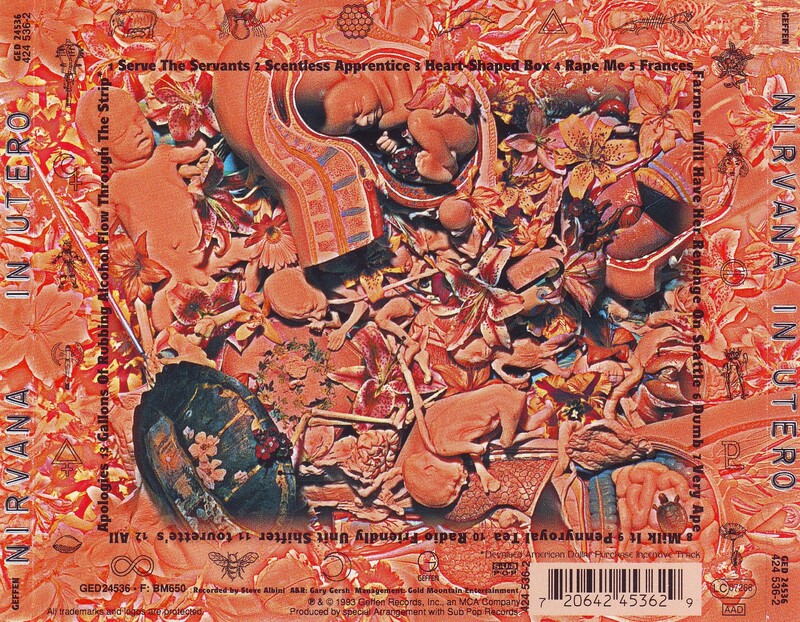 The collage features model fetuses, body parts, insects and a tortoise shell lying in a bed of orchids and lilies. 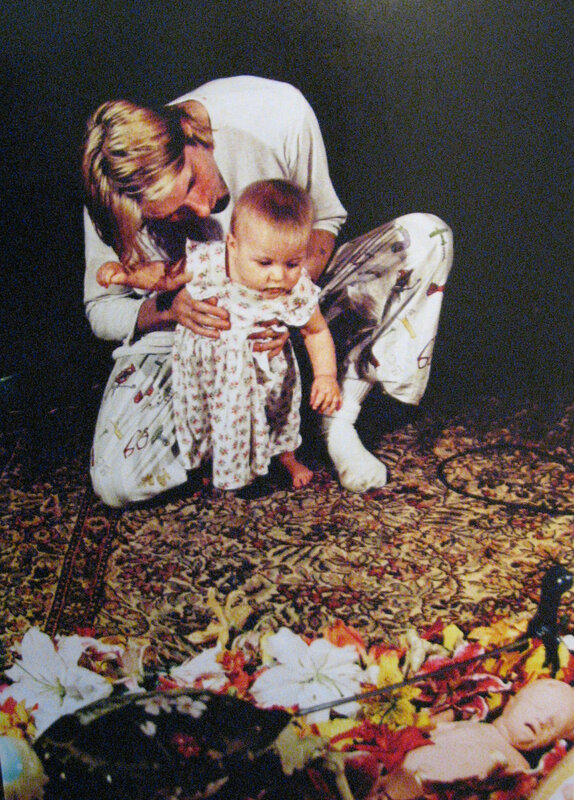 The collage had been set up on the floor of Cobain’s living room and was photographed professionally by Charles Peterson. 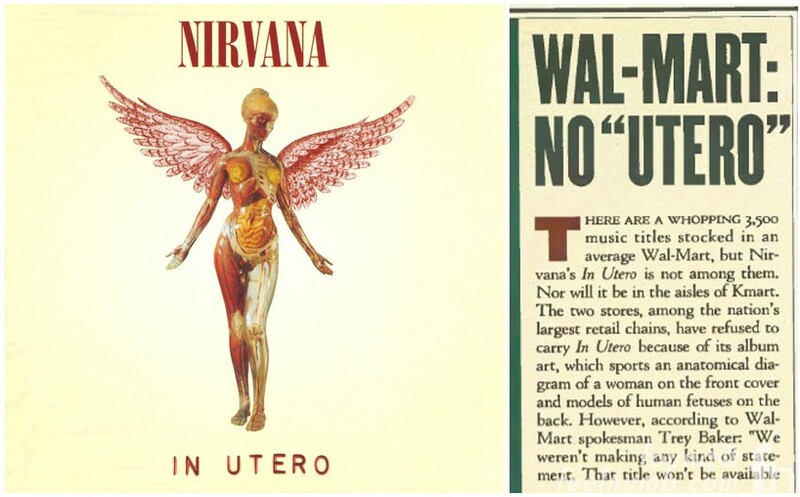 Here is the actual photo of the collage used to create the art for the back cover. 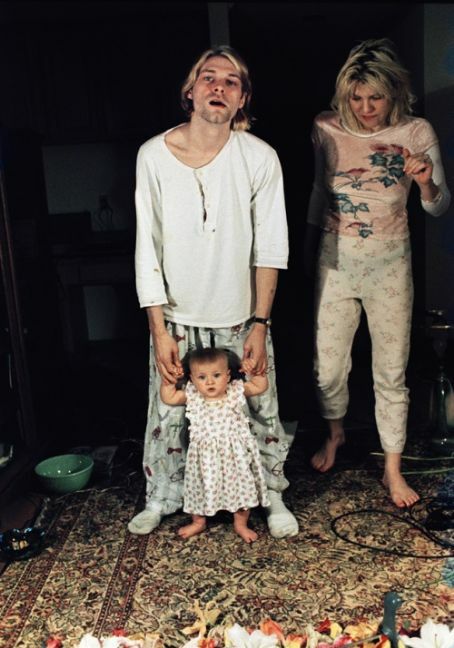 Finally, here’s some awesome photos taken by Peterson that show Courtney Love and Frances Bean Cobain standing next to the collage.